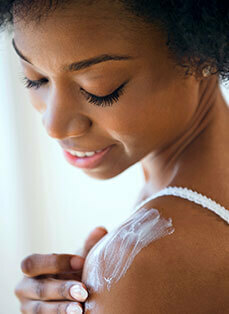 If you have eczema, you probably already know that moisturizers can help keep your skin hydrated. There are many types of moisturizers, including ointments, creams, lotions, gels, and oils. It’s important to follow your doctor’s recommendations about your moisturizing routine. Ointments are good barriers that help retain moisture in your skin and may be less irritating because they are less likely to contain preservatives. Creams may be less greasy. Lotions may be more easily spread on the skin. Choice of moisturizer is often made based on patient and healthcare practitioner preferences. No matter which moisturizer your doctor recommends, applying it to damp skin after bathing will help keep your skin hydrated. In addition to moisturizers, your doctor may recommend that you try a non-prescription product, like a colloidal oatmeal-based bath. An over-the-counter strength, hydrocortisone-based topical steroid may also be recommended. A prescription product may be needed to help treat your eczema. 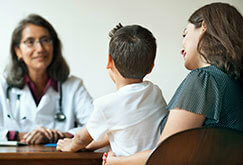 Your doctor may recommend using prescription moisturizers or a skin barrier cream. Or, maybe your doctor has recommended other medications like prescription-strength topical corticosteroids (TCSs) or topical calcineurin inhibitors (TCIs). TCSs and TCIs can be effective treatments. Your doctor may tell you to limit how often you use some of these products, or specify where they can be applied on the body. LOOKING FOR A DIFFERENT WAY TO TREAT YOUR ECZEMA? than other treatments. Learn more.